The Milwaukee Brewers have acquired infielder Brad Miller and cash considerations from the Tampa Bay Rays in exchange for Ji-Man Choi. 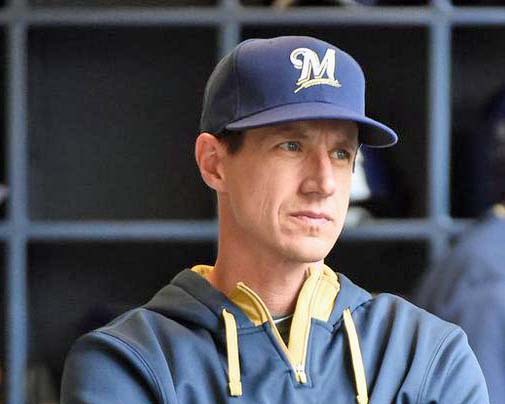 The Brewers have been looking for help at shortstop after Tyler Saladino went down with an injury and both Orlando Arcia and Eric Sogard struggling. The 28-year-old Miller hit .256 with 5 HR and 21 RBI in 48 games this season with Tampa Bay. He made 38 starts, at first base, second base and designated hitter. He was designated for assignment on Thursday. Miller owns a career batting average of .240 with 73 HR and 260 RBI in 653 games between Seattle and Tampa Bay. The Rays sent the Brewers more than $2.2 million, covering all but $500,000 of Miller’s remaining salary this season. 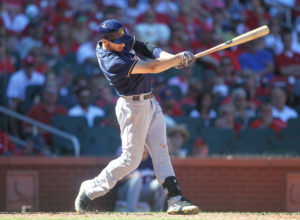 The 27-year-old Choi was hitting .233 with 2 HR and 5 RBI in 12 games with the Brewers this season. He made eight starts in three different stints with the team. 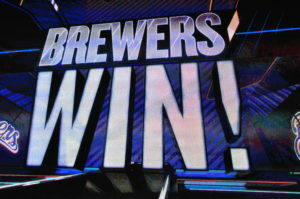 The Milwaukee Brewers lost both of their exhibition games in Houston, falling to the Astros in Tuesday’s finale 8-1. 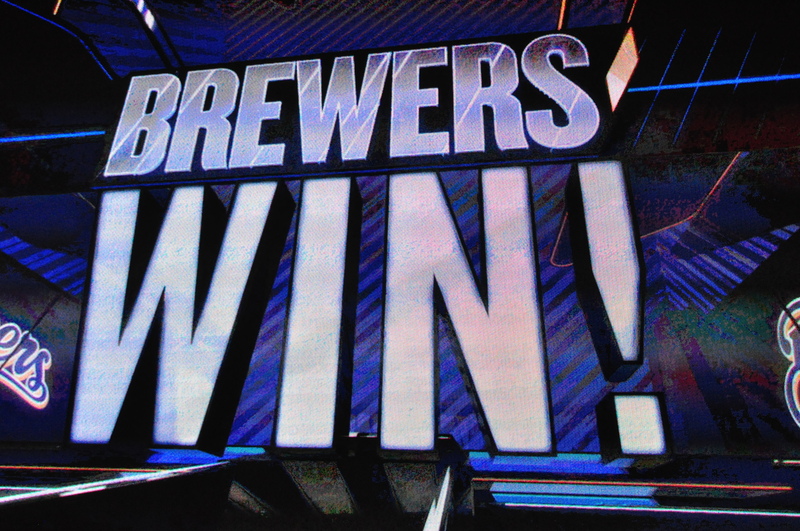 The Brewers finished exhibition play 19-12-2. Houston’s Carlos Correa clubbed an opposite-field grand slam in the first inning off of Brewers starter Zach Davies. In his final tune-up for the regular season, Davies pitched three innings, allowing six runs (five earned) on six hits with two walks and four strikeouts. Charlie Morton went 5 1/3 innings, allowing just one hit, no walks and he struck out eight. The Brewers will still have to finalize their roster before Thursday’s regular season opener in San Diego. They have three relievers for two jobs in the bullpen, to be decided between J.J. Hoover, Oliver Drake and Taylor Williams. They also will have to decide between Jesus Aguilar and Ji-Man Choi for the final spot in the bench. It’s also possible the Brewers could make a late deal instead of sending a player to the minors or giving them their all-out release. The Milwaukee Brewers already have a pair of first basemen on their big league roster, Eric Thames and Jesus Aguilar. Now, they’ve added another, signing South Korean slugger Ji-Man Choi to a minor league deal with an invitation to big league spring training. The 26-year-old Choi played most of last season with the New York Yankees’ Class AAA Scranton/Wilkes-Barre club, batting .288 with 15 home runs and 69 RBI in 87 games. He also played in six games with the Yankees, hitting .267 with two homers and five RBI. One of the two long balls came off of Brewers pitcher Junior Guerra at Yankee Stadium. Choi also had a 54-game stint with the Los Angeles Angels in 2016 but hit just .170 in 54 games with five home runs. 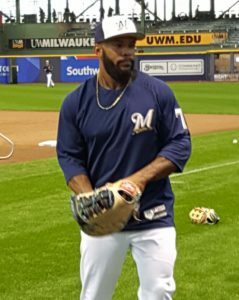 According to the Milwaukee Journal Sentinel, Choi could opt out of the deal at the end of spring camp if he doesn’t make the Brewers’ roster. If he accepts a minor-league assignment, there is another opt-out date of June 15 if he isn’t called up to the majors. Choi originally signed as an international free agent in 2009.